Back to the Parking is to remember the location GPS, is an iPhone app that can be displayed on the map to where you stored with location. 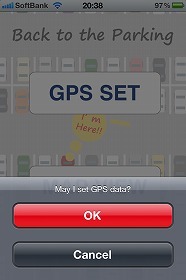 For example, GPS information to remember when you get out of a car in the parking lot, parking is convenient when you return to later. 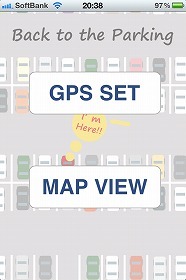 【GPS SET】… You are here to get the GPS location of the memory. 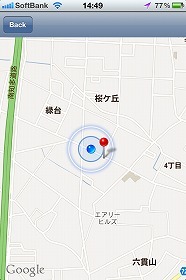 【MAP VIEW】… The location shown on the map and stored location.